Living on the East Coast of Canada provides so many photographic opportunities. The ocean coastline, rivers, lakes and the Acadian forest all provide magnificent spaces to record images. There is also another factor that makes shooting on the East Coast so great. The weather. The weather creates much of the drama for my photography, especially fog. A foggy day is one of my favorite times to go on an exploration or to go back to places that I’ve photographed previously. It allows for a totally different type of image. It makes for a true Maritime experience. For most of my friends the fog is generally not welcome, but I receive it with open arms. It’s cool and refreshing on the hot summer days. It is nature’s air conditioning without any of the energy draining environmental impact. It is one of the benefits of living along the Bay of Fundy. There is no shortage of foggy days and in any season. Living in a place with fog year around might explain why some records show that the invention of the foghorn took place in my hometown of Saint John, New Brunswick in the 1850’s. There are several types of fog, and living where I do next the Bay of Fundy there are ample opportunities to experience just about every type. Some of the different types of fog that you may see are radiation fog sometimes known as valley fog, evaporation fog, advection fog and freezing fog. The fog I like to look for is the evaporation fog over different bodies of water. This evaporation fog can add so much to an image especially if you can combine it with an early morning sunrise or sunset on a cold day. I have been fortunate to record images on ponds, rivers and on the ocean in all different seasons. With my camera in hand I’m constantly on the lookout for a scene where evaporation fog is present. Shooting in different types of weather can be a challenge and fog is no different. It is still moisture and sometimes can be so wet if feels like rain, so protecting your equipment is very important. A rain jacket for your camera or even a zip lock type of bag will work to offer extra protection. 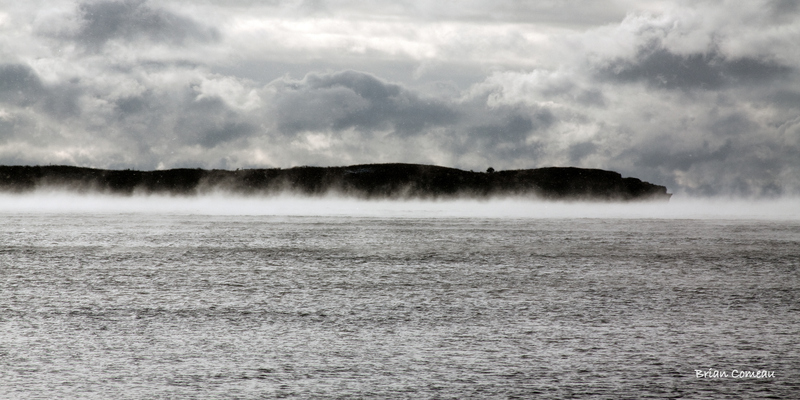 Also, working near the ocean can mean the fog may have some extra salt which will quickly wreak havoc on equipment. 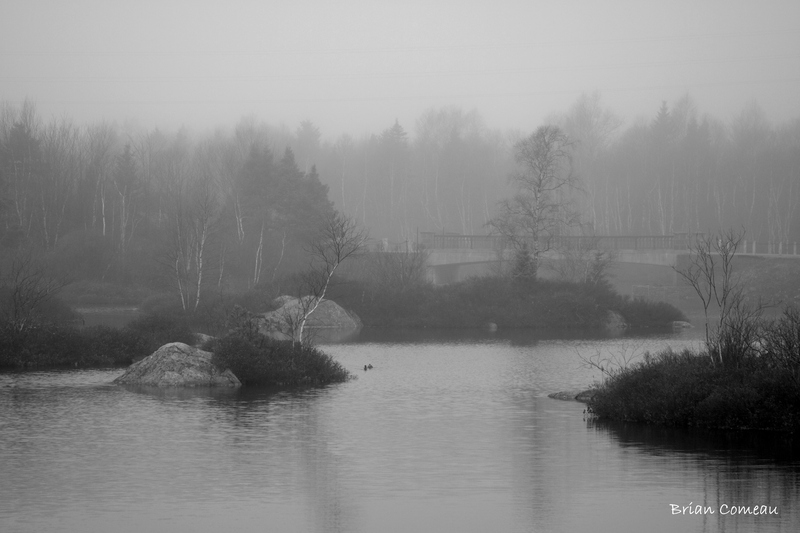 Fog is naturally monochromatic. Quite often converting to a fully black and white image seems appropriate. Don’t let the weather deter you from getting out and enjoy photography. 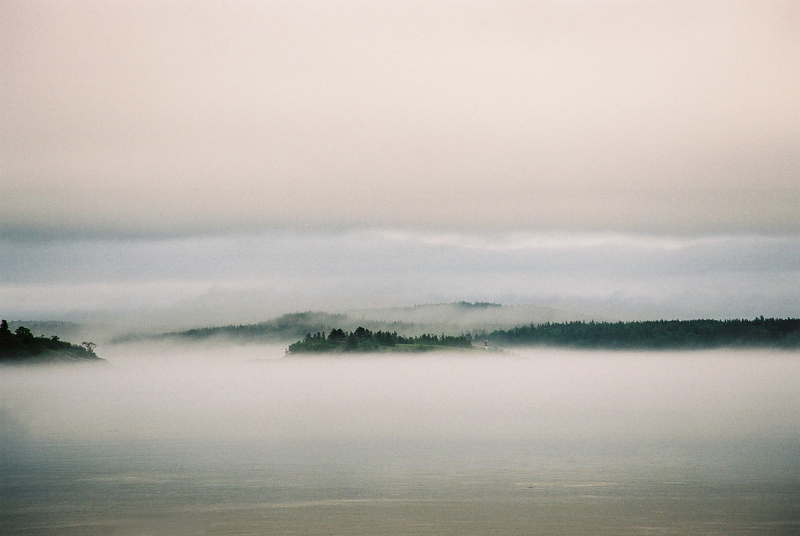 Weather can help with the mood of a photograph, and especially fog. Some of my favorite images were taken on cloudy and foggy days. It can be hard to get motivated on these days but the rewards can be once in a lifetime shots. I hear is said quite often on the East Coast; “if you don’t like the weather just wait five minutes”. Sometimes that can be bad, or sometimes it can be good, depending on your point of view.